The multi-talented Tyler Perry brought back Madea for seven must-see performances at the Beacon Theatre. 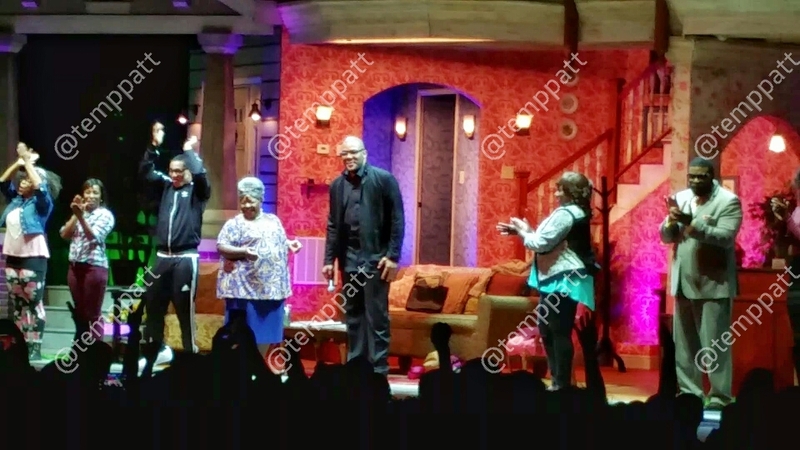 The stage play was titled ”Madea on the Run.” This was Tyler Perry’s first time back to the historic Beacon Theatre in 10 years. I had the pleasure of attending the last show of the seven Beacon Theatre performances. “Madea on the Run” is a hilarious yet inspirational message filled play starring Tyler Perry as the no nonsense Mabel ‘Madea’ Simmons. Madea is in trouble with the authorities a.k.a. popo and is now on the run. She moves in/hides out at her friend Bam’s house who’s recovering from having hip replacement surgery. While helping take care of Bam, it becomes obvious that Bam’s family is in need of some help in the form of tough love only Madea can provide. The life lessons shared are sure to hit home with audience members. This play features new music written by Tyler Perry as well as soulful performances of some R&B classics. ”Madea on the Run” also features the talents of Cassi Davis, Maurice Lauchner, Tony Hightower, David Stewart, Jr., Rhonda Davis, Claudette Ortiz, Latoya London, Judith Franklin and Dorsey Levens. ”Madea on the Run” will have you laughing and singing throughout and leave you feeling good and uplifted. New Yorkers who unfortunately missed the Beacon Theatre run can see the stage play during its four performances at Kings Theatre in Brooklyn. The four performances are Nov. 19 through Nov. 22. For the full list of tour dates and to purchase tickets, visit ticketmaster.com. This is a live review of Tyler Perry’s ‘Madea on the Run’ play from Sept. 6, 2015 at 7:30 pm at Beacon Theatre. I was not compensated for this post. Reviews are based on personal opinion and not influenced in any way. Comments concerning reviews from attendees about their opinion is encouraged and welcome through the comment board.